The Huawei Y6 II is a simple device. It has bright 5.5 HD IPS display perfect for video sharing.. A Kirin 620 octacore processor powers the phone. The 2GB RAM allows for better multitasking. 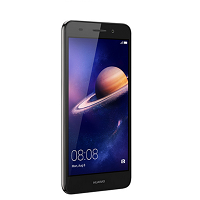 The Huawei Y6 II also offers a smooth user experience as it runs on the Android 6.o and the Emotion UI 4.0 from Huawei.